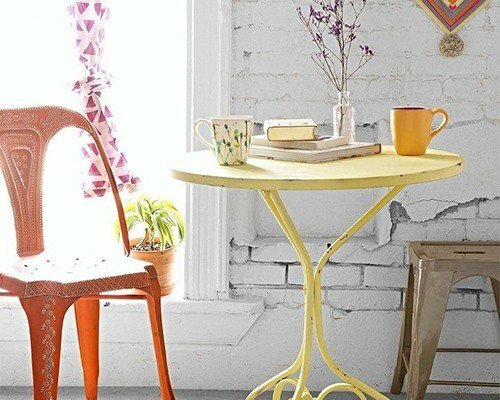 If you spend a lot of time in coffee shops and would like to translate that style into your home, here are a few tips on how you can make your kitchen look like a hip and urban café. 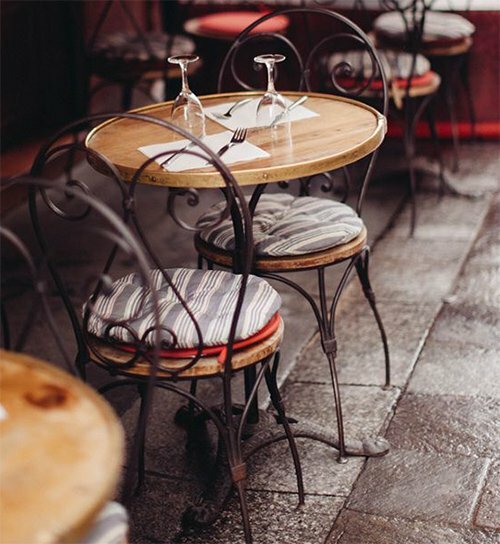 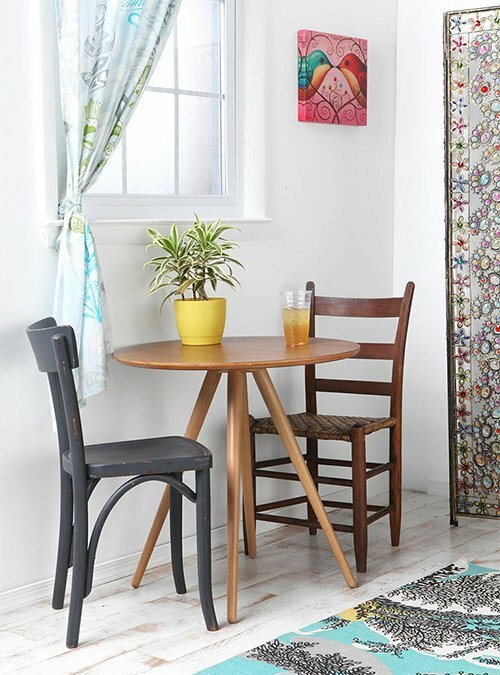 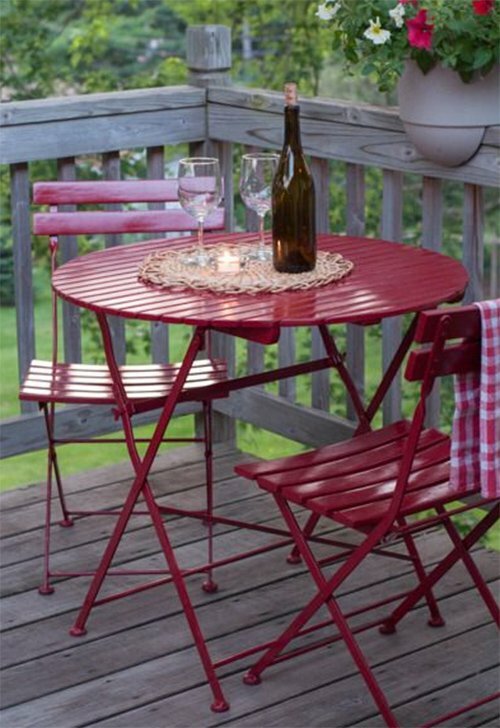 Square or round bistro tables would make a perfect alternative to the usual dining table. 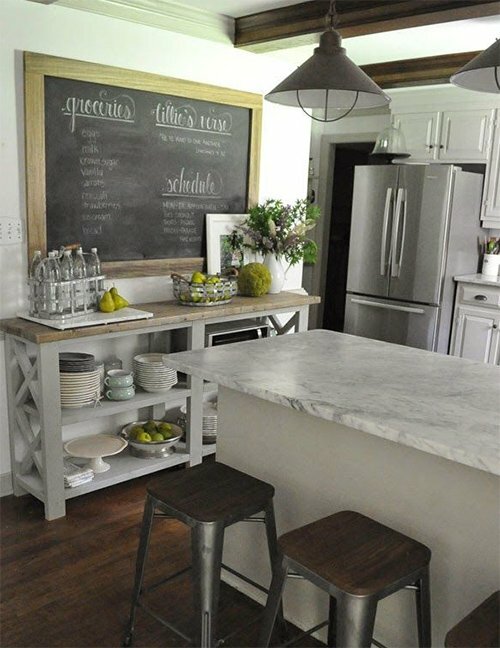 If you do have a kitchen island, ensure that you give it a bar-style look with a dark wood countertop, for instance. 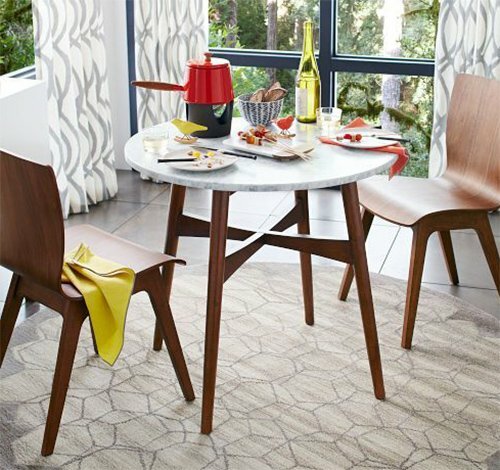 Your bar stools can be contemporary, with vinyl seating. 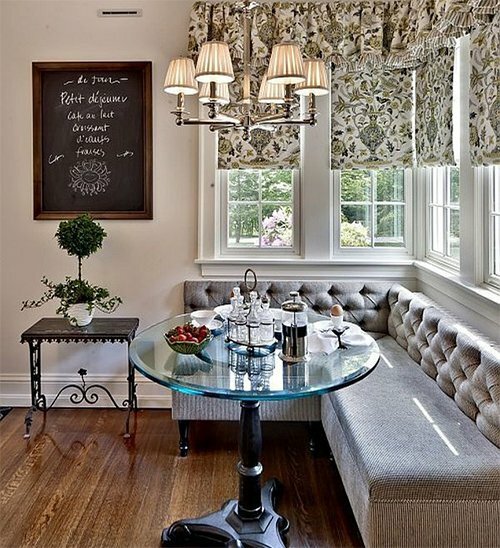 Either wallpaper your walls with a fun print, or choose bright colors, with neutral cabinetry. 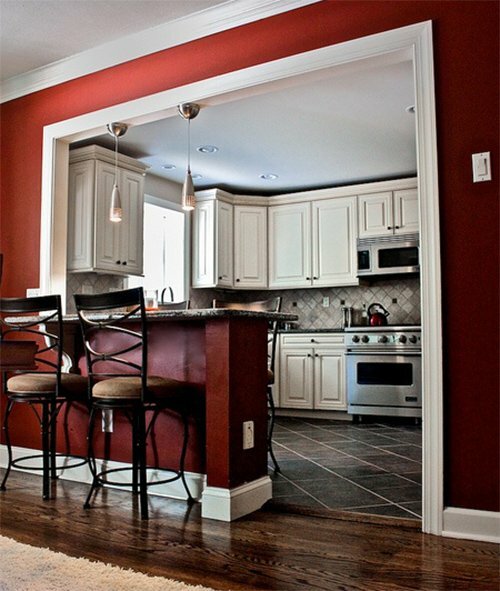 White cabinets against a red wall would look great. 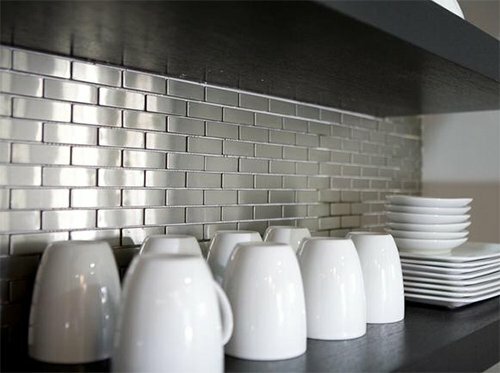 For your backsplash, choose multicolored tiles, or a plain metallic finish to give your café kitchen some extra oomph. 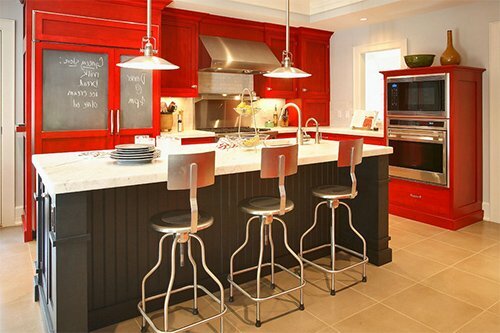 Cabinetry can either be in wood, or painted in neutral colors. 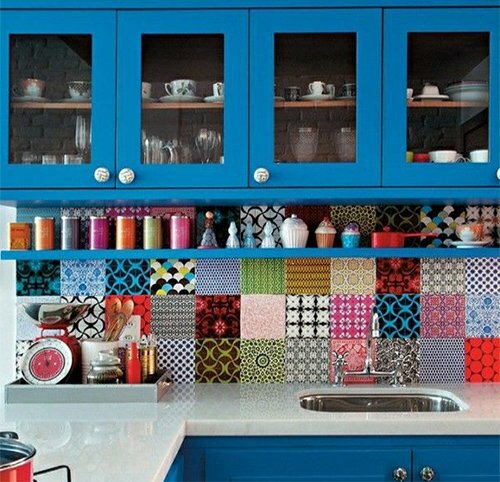 If you wish to be more daring, you may choose to use wallpaper or washy tape to customize your cabinets. 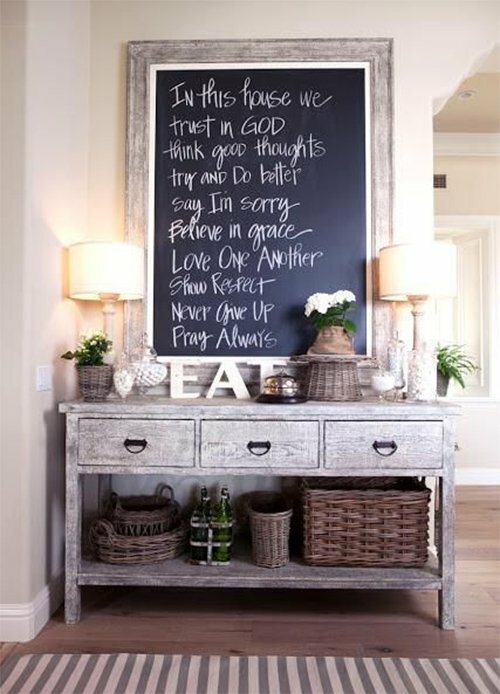 You may want to place chalkboards on the wall so that you can write down ‘to-do’ or shopping lists, or even fun quotes. 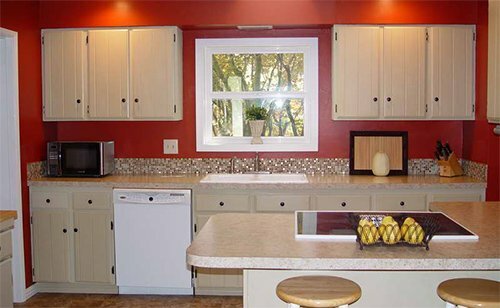 Alternatively you may also add photo frames and souvenirs from your travels, on the walls, to give your café kitchen that urban touch.